CALCLEAR Water Conditioners are ideal for use in hydroponic lettuce growing applications, and trials are underway to determine if the benefits offered can be realised in other plants such as fruiting varieties. The CALCLEAR system works by changing the mineral crystals in water into tiny particles of 4 microns or less. This prevents and even cures scaling and corrosion issues that are caused by water in industry, agriculture and in the home. These water conditioners help to provide a water supply that has growth and health benefits and can realistically produce an economical supply of softened water that does not contain salt or back-flushing. CALCLEAR water treatment systems not only enhance nutrient uptake, they also help to reduce any bitter taste in the lettuce. 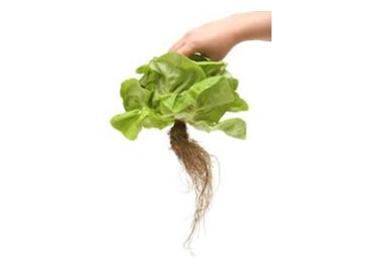 They also help to increase the fresh weight of the lettuce as well as prolong the shelf life. Using CALCLEAR water conditioners means that growers are able to use bore water on commercial hydroponic lettuce crops when it was previously considered unsuitable. Water that had been treated with CALCLEAR is ideal for the removal of algae from root systems and growing channels and will effectively flush out root capillaries and xylem tissue. It also helps to reduce tipburn and the occurrence of premature bolting. Further information on water conditioning systems is available from CALCLEAR Water Conditioners.